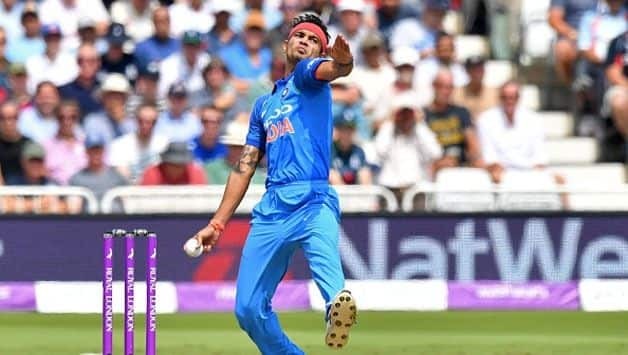 The BCCI has reportedly flown to the UAE five promising and upcoming bowlers to help Indian batsmen prepare better for the Asia Cup 2018. The BCCI has flown to the UAE five promising and upcoming bowlers to help Indian batsmen prepare better for the Asia Cup 2018. Barring the 2014 IPL, a part of which was conducted in the UAE, India haven’t played much cricket in the Emirates of late, and the move was finalised keeping in mind India’s back-to-back matches against Hong Kong and Pakistan on Tuesday and Wednesday. A report in Cricbuzz suggests that among those to have arrived in Dubai – where the team will play its matches – are pacers Avesh Khan of Madhya Pradesh, Prasidh Krishna of Karnataka and Siddarth Kaul of Punjab. Spinner Shadab Nadeem of Jharkhand and mystery spinner Mayank Markande are the other two. However, with the Vijay Hazare Trophy tournament commencing from the 19th, the bowlers are expected to fly back on the 17th. Kaul picked up 21 wickets in the 2018 IPL and was rewarded with a maiden call up to the national side for the ODI and T20I series against England, where he picked up three wickets from two T20 games. Markande, on the other hand is a promising spinner who foxed some of the best batsmen during the IPL. He bagged 15 wickets from 14 games for the Mumbai Indians. “Not everywhere do you get quality net bowlers and it becomes a problem for the senior team during practice sessions. With back to back games, you don’t expect a Bhuvneshwar Kumar or a Jasprit Bumrah to bowl flat out at the nets. Also, the young academy bowlers at times can’t provide quality practice. Hence we have got some of our next line of bowlers,” a BCCI official was quoted as saying. In addition, left-arm throwdown specialist Nuwan Seneviratne from Sri Lanka has also been added to the list. 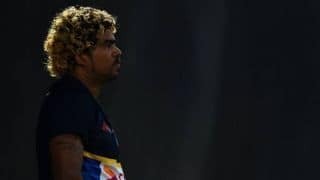 Seneviratne has quite the reputation in his country and it is believed that the decision to include him is to help Indian batsmen prepare to tackle left-arm pacers. Pakistan’s squad comprises four left-arm fast bowlers, including Mohammad Amir, Junaid Khan, Usman Khan and Shaheed Afridi. During last year’s champions trophy final, the duo of Amir and Junaid ripped through the Indian batting order, removing their top three batsmen Shikhar Dhawan, Rohit Sharma and Virat Kohli cheaply. 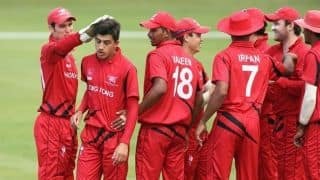 VIDEO: Can Hong Kong punch above their weight at Asia Cup?